Stefan practises across a range of Chambers’ practice areas with a particular focus on competition law, telecommunications and other economic regulation, merger control, and the financial services sector. Before coming to the Bar, Stefan was an Executive Director with Goldman Sachs in London responsible for the coverage of European telecom and IT services companies in the firm’s Global Investment Research division, having previously worked in M&A and corporate finance advisory. Stefan has a wealth of industry experience in telecommunications, technology and financial services, and is known for his exceptional depth of commercial insight. He has a solid grounding in finance and economics, which makes his experience a particular asset in matters involving extensive economic argument, as well as cases of a technical or complex nature. 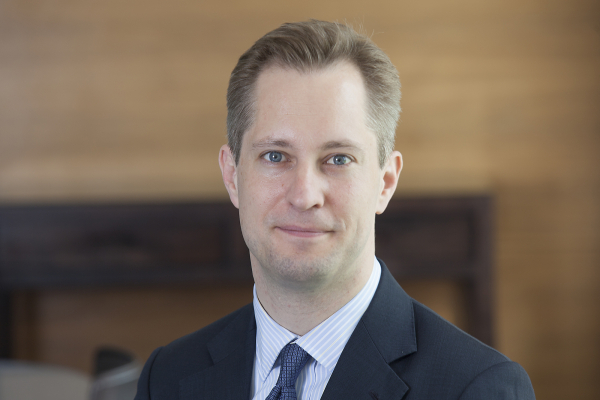 Stefan has a broad understanding of commercial and economic matters given his background in investment banking, including extensive practical experience in corporate finance and M&A. In addition, he has a thorough industry understanding of telecoms, media and technology (TMT) gained over more than a decade of serving clients in these industries. Following pupillage, Stefan spent time on secondment to the regulatory and competition law team at EE, the mobile network operator now acquired by BT. Stefan was called to the Bar in 2013, and joined Chambers after the successful completion of his pupillage in 2014. Stefan was pupil to Meredith Pickford QC, Robert Palmer and Alan Bates. Stefan is a Chartered Financial Analyst (CFA) charter holder and obtained a master’s degree in finance from the University of Cambridge, where he has also taught and supervised on finance and accounting topics. As an undergraduate, Stefan read Physics with History and Philosophy of Science. During his training for the Bar with BPP (GDL) and Kaplan (BPTC), he was a Middle Temple Queen Mother Scholar and received a Bar European Group Phoenicia Scholarship. Prior to that, as a financial analyst, Stefan received several industry awards, including from Institutional Investor (and II’s Alpha) and Les Echos/Thomson Reuters. Stefan is fluent in German with a good understanding of Dutch and intermediate French. He is a member of the Bar European Group, the Commercial Bar Association and the CFA Institute.